Mike Dodds has more than 30 years of experience as a prosecutor handling and trying cases of all kinds. As a prosecutor, Milke was known as a strong advocate for punishment as a deterrent, especially for violent crimes and for those who prey on the weak. Over the course of his career, Mike has sent thousands of people to jail, for crimes of all kinds, including complex cases and murder. Mike has constantly advocated for a fair and just treatment for the individual person. He knows that you must look beyond the facts in front of you to achieve a just result. Mike brings that understanding to the firm. He has a knack to reduce complex matters to the basics. He uses that ability to argue the key points of any case. Mike assists with calls to scenes, providing immediate assistance to officers. 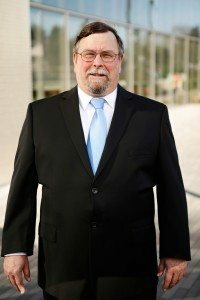 Mike has experience with death investigations and has previously served as county coroner in Washington. He’s also previously served as a union member and officer.